Christ the Lord Jesus is no ordinary leader. He is not even the greatest king among all kings. He is absolutely unique. When he speaks of God, he speaks of “my Father,” whom he alone has “seen,” who sent him, whose will Jesus fulfills perfectly. To hear Christ, to know him, and to follow him means to hear, know, and follow God himself. That is why “whoever believes” in him “has eternal life.” To believe in Christ is to give one’s life to him, to entrust oneself to his care – and when we do that, he faithfully leads us to his Father’s house. 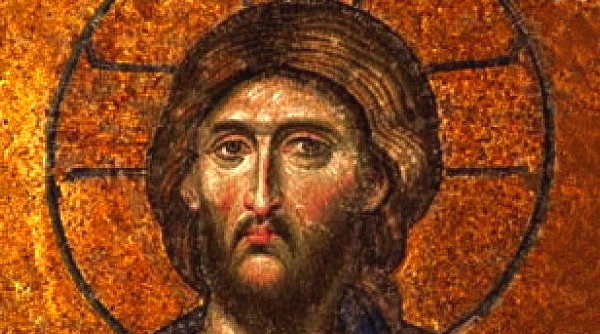 Through the centuries, many have continued to “complain” about Jesus, contending that he is only a man, only a great teacher, or only a great religious leader: “We know his father and mother….” Only when we allow ourselves to be drawn by the love of God, when we give in to God as he tugs at our hearts (“No one can come to me unless he is drawn by the Father”), only then can we see beyond the confines of our limited understanding; only then does Jesus of Nazareth become for us Jesus the Christ, Christ the Lord. Christ the Teacher Christ packs three momentous lessons into this discourse. First, he points out the mystery of faith, that no one can believe in him “unless he is drawn by the Father.” Faith in Jesus Christ supplies us with life’s only dependable fuel, and yet, faith in Christ is God’s gift. For this reason, we need to pray ceaselessly for an increase of faith, both for ourselves and for those who have yet to believe. Second, faith in Christ leads to “eternal life.” Later in the Gospel, Jesus tells us that eternal life consists in knowing “you, the only true God, and Jesus Christ whom you have sent” (John 17:3). In Biblical language, “knowing” implies deep interpersonal intimacy, the kind of relationship that we all yearn for. That we can have this with God himself, who is more lovable, more beautiful than any other person is or ever could be, is the Good News of Jesus Christ. Third, Jesus himself is the “bread” of this eternal life, its source and sustenance. Without bread, without food, physical life perishes; without Jesus, without his “flesh for the life of the world” in the Eucharist, our life of intimate communion with God will perish. It’s that simple – and it’s that crucial. Eleven times in this discourse Jesus speaks of himself as the bread of life; you’d think we would get the message. But if someone were to measure our real devotion to the Eucharist – our active and prayerful involvement in Mass, our recollection in receiving Communion, the frequency and sincerity of our visits to the Tabernacle – would they conclude that this Sacrament is, in actual fact, our bread of life? Christ the Friend Those who believe in Jesus will have “eternal life”; they will “not die” but “will live forever”; those who come to him will be “raised on the last day.” How odd for Jesus to be thinking of that even before he himself has been raised! And yet, it is why he came; it is the goal of all his sufferings and efforts. He wants to bring each of us into the everlasting Kingdom of light and joy, and he never lets that goal drift into the background. Friendship with Christ is not a temporary fix, a psychological gimmick to make our little trip through life a bit livelier. When Jesus Christ extends his hand in friendship (which he never stops doing), he means to walk with us in time and in eternity – if we’re willing. Jesus: So many people still think of me as a harsh taskmaster. They think of Christianity as a list of dos and don’ts (mostly don’ts). But my desire, the Father’s desire, is to give everyone the fullness of life that they yearn for. Everything I taught and did, everything my Church teaches and does, is directed to that goal. You know this. You believe it. Let my love seep more and more into your heart; let the hope I bring overflow in the enthusiasm of your glance and the simple joy of your smile. You know the truth about what is in store for those who believe in me. Always remember it and think about it. When sadness or discouragement creeps up on you, turn back to me and my promises, and I will renew your peace, your joy, your confidence, and your enthusiasm. Art for this post on John 6:36-51: Cover of The Better Part used with persmision. Bread of Life, Corbert Gauthier, 2002, copyright Corbert Gauthier, all rights reserved, used with permission.